Did you know that Kilmanjaro, Africa’s highest mountain, is an inactive volcano with three volcanic cones Kibo, Mawenzi and Shira? 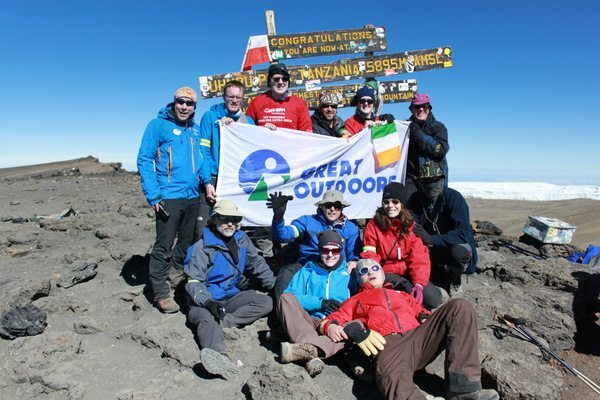 If you’d like to know more – and everything else about climbing Kilimanjaro – come along to our FREE information evening at the Great Outdoors on 24 October. Concern Worldwide will be there to tell you all about its Kilimanjaro Challenge in October 2012. This challenging trek will take you along the tough, but spectacularly rewarding, Machame route through dense tropical rainforest all the way up to the mighty snow-capped summit at 5,896m. On reaching the summit you will feel a sense of overwhelming achievement. We’ll also have information on vaccinations, fundraising and training. And our own Kieran Creevy will be on hand to talk you through what kit to bring. He has summitted Kili 10 times so we’re proud to call him an expert! This talk is part of our series of FREE autumn lectures. Tickets are free but limited so please book early to avoid disappointment.